Happiness is a matter of choice. You have the power to create it, multiply it, and bask in all its glory. What you always hear from the wise is true - you can always look at the glass half full or half empty. But then you may ask, "Why is it sometimes too difficult to choose happiness?" Let me guide you towards understanding what true happiness means, and how you can stay in that wonderful state of bliss for a long time. With true happiness in your heart, you are empowered. You can be who and what you want to be without fear or apprehension. Your life will be as beautiful and as meaningful as you want it to be. Always remember that how you're feeling from inside is exactly how you're going to look at the outside. People love to be around happy individuals. We all would rather share another person's joy rather than get influenced by the misery of others. To unravel the secrets of happiness and make it happen in our lives, it is important that we learn every single detail about it. Researchers and scientists, on the other hand, would simply define happiness as the state of having satisfaction and finding meaning in your life (Source). Furthermore, you might even have your own definition of happiness, and it will be just as correct as these experts' point of view. Happiness takes many forms. Like beauty, it also lies in the eyes of the beholder. But what makes you happy may cause pain to others. And that is one reason why we can't achieve it just yet. We don't fully comprehend the right kind of happiness that will allow us to break free. Do note that true happiness is not selfish. More than anything else, it should create a positive effect on you and all the people around you. Happiness can create positive changes on your physical health. Dutch sociologist Ruut Veenhoven made an in-depth study about this, and he concluded that "Happiness does not cure illness, but it does protect people from becoming ill" (Source). He further stated that happy people tend to live longer than those who aren't. On the flipside, the psychological effect of happiness is far more obvious. Happiness improves our self-esteem and optimism. We don't get easily sidetracked by frustrations or failures. Our quality of life is obviously better that average, and we perform very well in our jobs. In a study published in the Journal of Happiness Studies, it was discovered that individuals who have strong childhood and adolescent relationships tend to grow into happier adults. Both social connections and romantic relationships create a positive impact on one's state of happiness. Knowing that we have a support group makes us less threatened with all the challenges that life brings. Counting your blessings makes you a happy guy. On the other hand, dwelling on your miseries makes you a grumpy man. Make it a practice to be thankful for what you have instead of complaining about the things you don't have or can't get. In the same way, thanking people for the goodness that they do inspires them and affects them positively. 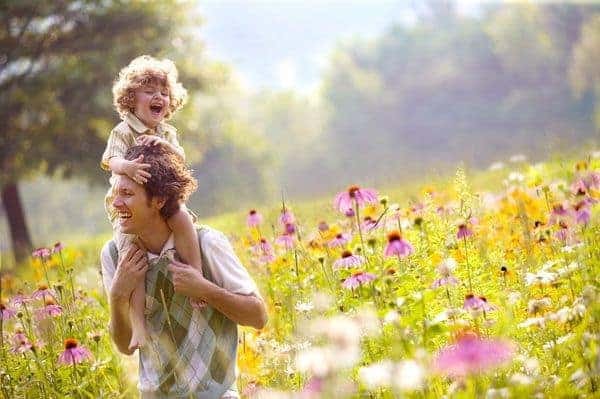 Do you know that our bodies respond positively to happiness? 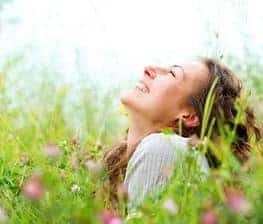 An interesting study published in the Proceedings of the National Academy of Sciences showed how happiness could change our genetic codes and help fight off infectious diseases. Among the participants, it was observed that those who gain happiness by doing good things to others have stronger antibodies and antiviral genes. That shows how doing good things, like donating to charity, can make you happy. And as happiness fights off diseases in the process, you're in for a win-win situation. Proper diet, adequate rest, and regular exercise make your body more receptive to happiness. All of these also contribute to your mental well-being. A healthy lifestyle also keeps you away from medical issues like stress, anxiety, and depression. 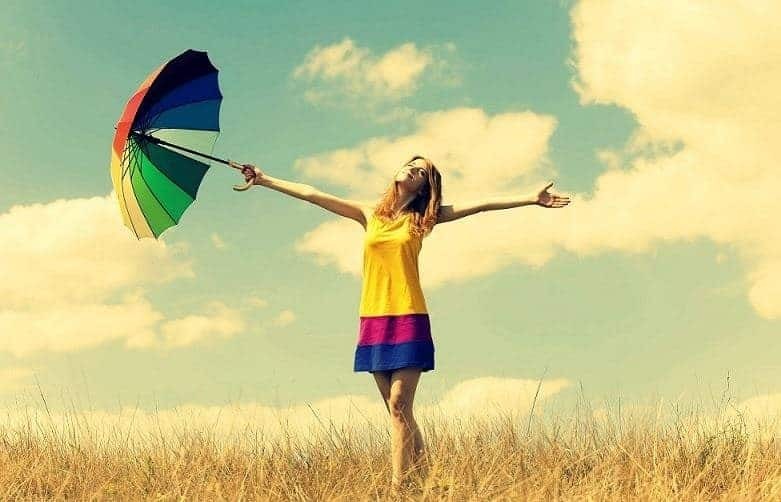 To be happy, it is necessary to be healthy. The effect of happiness is almost nil in sick people. Taking good care of yourself is the first step to leading a happy and fulfilling life. It is almost impossible to be happy if you have a lot of grudges in your heart. The more you hold on to those negative emotions, the more clouded your visions become. But if you do the opposite and try to forgive, you'll feel a positive change happening within you. Immediately, you'll feel better, lighter, and ready to start anew. If you want to be happy, there shouldn't be a place for negativity in your system. It has been said many times before that no amount of money can buy happiness. But many people still believe otherwise. While it is true that we need money to be happy, it isn't the be-all and end-all of our existence. An interesting study showed that money contributes to happiness only if it takes us out of poverty and into financial security. Once we reach the comfortable living zone, money ceases to be as important as it used. Consequently, our happiness level would no longer improve despite continued wealth accumulation (Source). On the other hand, those who think that money can buy the things that will make them happy should start computing how much debt they would get into before they reach what they assume as happiness. If they should spend money to achieve happiness, it will be more beneficial to invest in experiences rather than buy things. The latter would only make them materialistic, which is very detrimental to happiness. On a very large scale, the mind can influence our happiness level. It is then very important that we be wary of our thoughts at all times. Thinking ill of other people affects us negatively on an unconscious level. Clearing our minds by using methods that we are comfortable with will greatly help. Practicing our faith can also improve our level of mindfulness. Smiling and being smiled at can elevate one's mood. A smile is also highly associated with pleasant memories, and those could very well shower us with a wave of happiness. On the other hand, empathizing with and trusting other people increases one's oxytocin levels. Also referred to as the ﻿﻿﻿﻿﻿love or cuddle hormone, oxytocin can make you feel good and safe, like an infant inside a mother's womb. Hugging, patting, and smiling creates that desirable effect on you and other people. It doesn't take much to be happy. Remember how they say that it only takes 17 muscles to smile and 42 to frown? That's your guiding principle right there. Many times, we focus our energy in choosing the difficult road rather than getting ourselves into the easier route. Cultivating happiness does take a lot of work. But it isn't as difficult as we thought it is. I challenge you then, to follow all the suggestions in here and give a lifetime of happiness a chance.